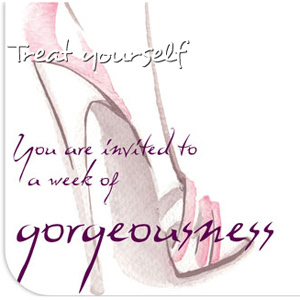 A `Week of Gorgeousness` kicks off tomorrow at Festival Place Shopping Centre in Basingstoke, Hampshire. You are cordially invited to a Week of Gorgeousness from 24th to 30th September. Do you ever wonder if your ‘style’ is right? Are you wearing the right clothes for the right occasion? Festival Place Shopping Centre is pleased to announce the arrival of their very own Personal Stylist, Chantelle Znideric from TopStylista. Chantelle will be on Queen Anne’s Walk today between 12 noon and 3.00pm on the upper level to meet you and take bookings for her personal styling and shopping experiences.